Tim has been in endurance sport for over 30 years. He has extensive experience at the Elite amateur level in Road Cycling, Mountain Biking, and Triathlon. Tim is a former 4 time State Champion for Ohio Cross Country Mountain Biking and Track Cycling, top three finisher twice at USA Cycling National Time Trial Championships, raced in multiple USA Cycling / NORBA National Championship Series races, a member of three City of Cleveland swimming championship teams, City of Cleveland Swimming runner up, and multiple winner of Track & Field high school varsity letters for middle distances. He also competed at the World Championships for Draft Legal Sprint Triathlon as part of Team USA. Tim has coached the Case Western Reserve Cycling Team, the University of Dayton Cycling Team, the University of Dayton Triathlon Team, Loew Youth Swim Team, Lifetime Fitness Masters Swim Coach, Laurel Middle School Swim Team, and the Cleveland State University Triathlon Team. ​Kendra has been in endurance sports for over 10 years as a collegiate triathlete as well as a current member of our Elite Triathlon Team. She is former president of the University of Akron Triathlon, running, and swimming teams as well as a proud alumnna. She has been coaching our youth and junior team for several seasons and is active with our camps and clinics. She is a registered dietitian and heads up our nutrition program as well as captain of our Elite Triathlon Team. Kendra has been involved in many camps and clinics over the years and now will be leading them along with Ginny and Pete. ​ Kendra currently focuses on short course and draft legal triathlon. Pete has been in endurance sports for over 20 years in running and triathlon as well as being a member of our Long Course Triathlon Team. Pete has been involved in many camps and clinics over the years and now will be leading them along with Ginny and Kendra. Pete is a former Division 1 collegiate runner at Cleveland State University and ran as an elite for several years. 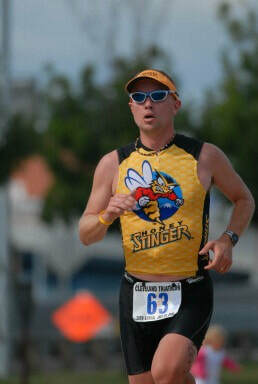 His passion is running and mentoring high school age athletes thru the ranks of triathlon and running. Ginny is a USA Triathlon Level 1 Coach as well as a long time athlete of our Triathlon Team. She has been active with the Cleveland Triathlon Club serving various role including president. She has been assisting in coaching our age group triathletes in our camps and clinics for several years and now will be leading them along with Pete and Kendra. She will be leading training sessions and more camps and clinics in the future. She has a passion of working with new triathletes as well as promoting female participation in sports. She varies her focus between long course triathlon and short course triathlon.